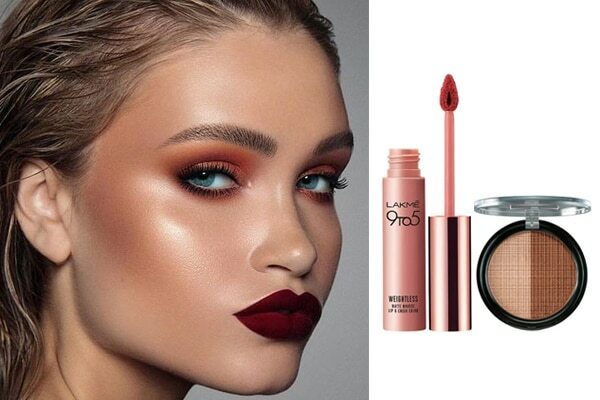 Go for a dewy look and subtle cheek contour as you’re going bold with eyes and lips. Apply a dewy finish foundation to begin with. 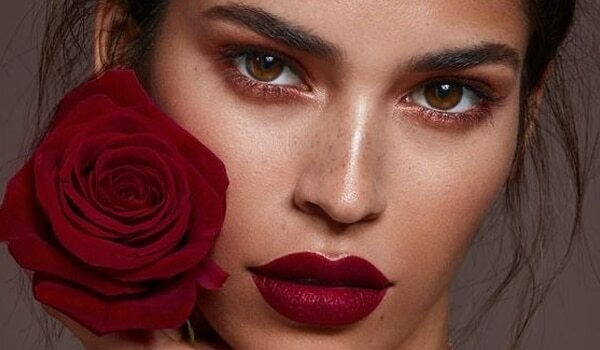 Flush your cheeks with a mellow brick or brownish blush. Use Lakmé 9to5 Weightless Matte Mousse Lip & Cheek Color in Crimson Silk for a hint of subtle colour on your cheeks. Dab a little Lakmé Absolute Moon-Lit Highlighter on the high points of your cheeks for some shimmer. 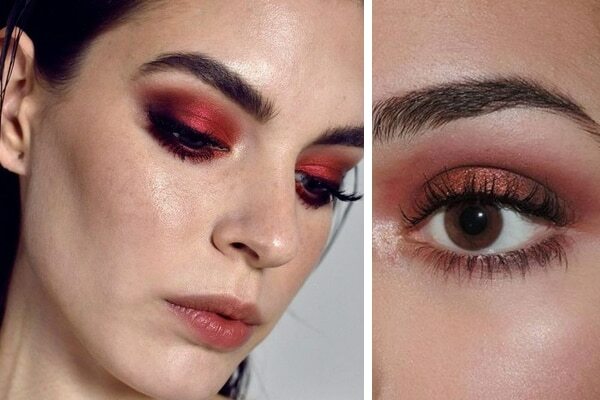 The flaming eye look takes the centre stage in the red monochrome makeup. 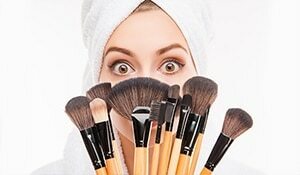 Start with priming your lids. Apply a neutral shade like beige or light peach as the base colour on the lid. Pick a red eyeshadow and apply onto the entire lid. Don’t go for a bright hue, but pick a deep and warm red. Line your lower lash line finely with the same eyeshadow. Apply some mascara and leave it understated and simple. Line your lips with Lakmé Kareena Kapoor Khan Absolute Lip Definer in Crimson and grab Lakmé Absolute Matte Ultimate Argan Oil Lipstick in Red Extreme to fill the lips. 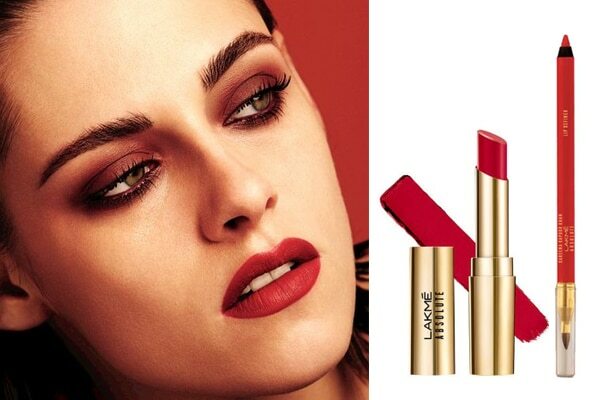 It has moisturising argan oil which won’t dry your lips and gives you a kiss-worthy pout.